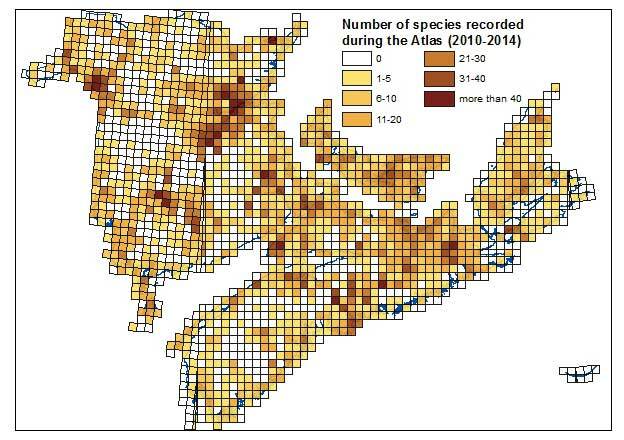 This map shows the number of species that have been recorded in each atlas square. You can use this map to focus your efforts on undersurveyed areas during the final year of the Atlas. Click on the map below to view a larger map with labeled squares. To see the species recorded in each square view the mapped results.